Sailing the waters of Baltimore’s Inner Harbor since 2008, Urban Pirates is owned and operated by Cara Joyce who was determined to bring local families and tourists an amazing swashbuckling adventure. 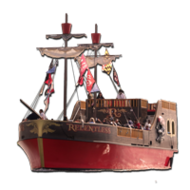 Inspired by her children’s love for all things pirate, and her love of gatherings with good mateys, she and her crew created an unique and engaging experience fit for buccaneers of all ages. In 2016 Urban Pirates added a second ship to their fleet, the Relentless, sailing out of National Harbor MD. 2017 marks the 10 year anniversary of swashbuckling having set sail with over 250,000 passengers to date. 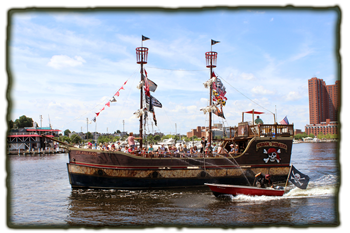 Urban Pirates’ ship FEARLESS was custom designed and built in Maryland to meet U.S. Coast Guard requirements. The ship is 52 feet long with an 18 foot beam and a 3 foot draft. It is powered by twin Volvo 225 hp diesel duo-propstem drivers and a bow thruster for easy maneuverability. The vessel is Coast Guard certified to carry 49 passengers and is equipped with a head and the latest life saving equipment. It also carries a fleet of water cannons to fight off enemies and has plenty of deck space for adventures in the harbor. All of our Captains are U.S. Coast Guard licensed. All our staff is subject to criminal background checks. The crew aboard the Fearless is made up of the best group of swashbucklers that ever sailed the seven seas. 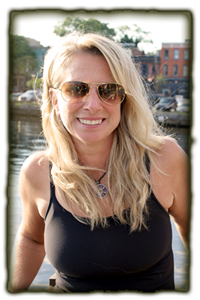 It’s their personal goal to get everyone involved in the action, fun and adventure. 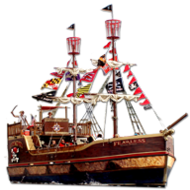 No matter if you are a wee sprog or a mighty captain they will bring out your inner pirate with their engaging entertainment that will have you dancing a jig and singing sea shanties all the way home. 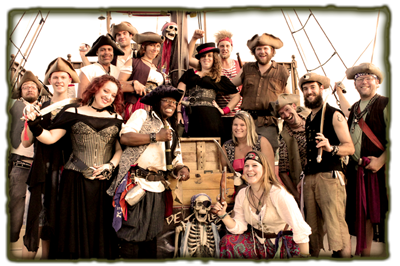 They’re the nicest bunch of pirates you will ever want to meet, and are always ready to greet you with a friendly ‘Ahoy Matey’!